Economic uncertainty and drastic swings in the market have created a noticeable hesitancy in the way Americans invest their hard-earned dollars. With high unemployment, stagnant GDP, and a shaky global economy, it is important to develop strategies that focus on both wealth preservation and growth. Baker Retirement & Wealth Management, P.C.’s fee-based investment management structure aligns with investors’ goals. We work hard to understand our clients’ risk tolerance and goals in order to develop an investment strategy that meets their needs. By utilizing a fee-based investment management structure, our company makes money when our clients make money (as opposed to charging steep commissions for every transaction). By aligning our goals with those of our clients, we are able to help clients explore alternative investment strategies, ensuring all options are on the table. Our investment philosophy is simple: preserve your wealth first and then grow it. If the base of your wealth is continuously eroding due to the market’s ups and downs, there is little opportunity for long-term growth. By focusing first on preservation and sell-side disciplines, we can help clients develop a portfolio management strategy that works for them. When the equity markets change direction and move downward, we adjust the portfolios to minimize losses. Our philosophy also focuses on tactical investment based on relative strength, which means we choose investments that are technically stronger or performing better than other investments. Many people just assume that their employer or employer’s 401K provider is looking after their 401K-asset allocation. This may not be true. 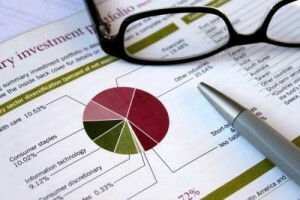 Baker can also help you review your options for 401K investment allocation. We help you build a disciplined, logical approach to managing your 401K at work. Jeff Baker and his team are ready to talk to you. We will learn about your needs, your goals, and your vision for the future. Call us today at (812) 842-2254 to set up a consultation. You can also request a call for more information about our services.